Barely a month has passed since the gripping finale to the 2011 Tour de France, but the third and final Grand Tour of the year is now upon us. At 3,300km, it is slightly shorter than the Tour de France and tends to appeal more to the climbers, rather than the all-round stage race riders. It is an appealing race this year with no clear favourite and around ten names, who will all fancy themselves to have a realistic chance of taking the title. Last year’s champion, Vincenzo Nibali, returns to defend his crown in 2011. He has had a solid year thus far, finishing third in the Giro d’Italia earlier in the year, adding to further top 10 finishes in the Tirreno-Adriatico, Liège-Bastogne-Liège and Milan-San Remo. He is a consistent climber, a world class descender and one of the best time triallers out of all the leading contenders. In the decisive TT last year, he destroyed his rivals to secure his first ever Grand Tour. At a best price of 6/1 with Sporting Bet, he is an appealing option. However, there are plenty of rivals looking to take his crown. The favourite for this year’s edition is the Spaniard, Igor Anton. 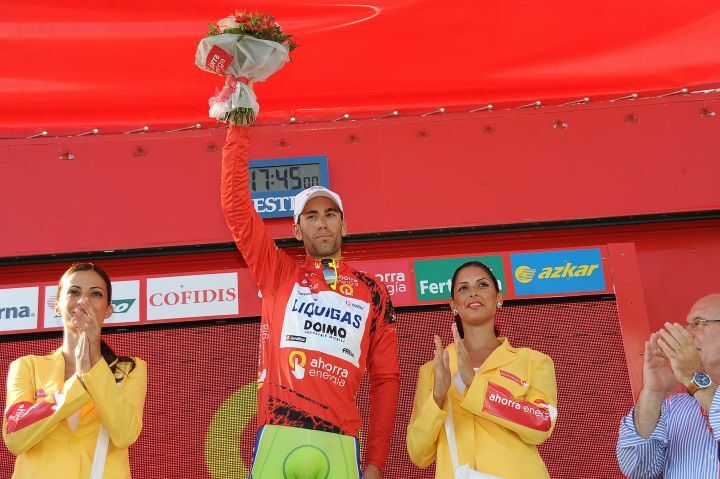 He was in impressive form last year in the Vuelta, wearing the leader’s red jersey until he crashed on Stage 14 and was forced to retire with a fractured elbow. He had been leading the race by 45 seconds from Nibali, so whether he would have held onto the jersey until the end is debatable, but what is clear is that he has the pedigree to challenge in this race. It is his proneness to come off his bike that is the major downside to Anton. As well as his crash last year, he was forced to withdraw from the 2008 edition as well, having crashed on the Alto de L’Angliru, breaking his collarbone. 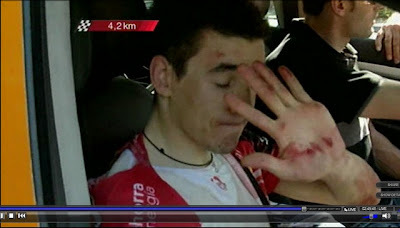 However, if he can avoid mishaps, he is probably the best climber in the race and will be the man to stop. He can be backed at a best price of 3/1 with Stan James. Joaquim Rodriguez is the other main Spanish hope for the title. At a best price of 6/1, he is an interesting prospect, but his performance in the time trial will be a key determinant of his final position. In last year’s time trial, he lost over six minutes to fall out of contention for the win. However, this year’s time trial comes earlier in the race, so he should have more energy left at this stage to try and limit the losses he suffers. One man who will be hoping for a standout performance is Bradley Wiggins. Wiggins was in top form heading into the Tour de France, having won the Dauphine Libere only weeks before, but crashed and broke his collarbone in the first week. He is now back on the bike and will be looking to clinch his first Grand Tour win. However, his fitness is still in doubt after the injury and there is a nagging doubt that the race may be slightly too mountainous for his liking. If he can reproduce the form he showed earlier in the year though, he has a chance of sticking with the big guns in the mountains, then blitzing them away in the time trial. The doubts about Wiggins are clear in the difference in prices available, ranging from 7/1 up to 20/1 with Blue Square. Another man who has come back from injury in the Tour de France to race here is Jurgen van den Broeck. 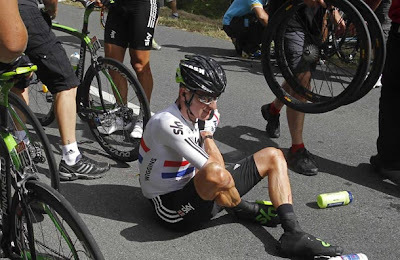 The Belgian suffered three broken ribs, a broken shoulder blade and a collapsed lung barely six weeks ago and there are even bigger questions over his fitness than there are with Wiggins. At the peak of his form, van den Broeck is a quality rider, as his fifth place in the 2010 Tour de France showed, but it seem that he is rushing back a little too soon. Again, the odds demonstrate the major questions as you can see anywhere from 6/1 to 33/1 on him. Denis Menchov is a two-time former Vuelta champion, having won in 2005 and 2007. After missing out on this year’s Tour de France when his Geox-TMC team failed to obtain an invite, he has focussed his attention on winning his third Vuelta. He is a vastly experienced and talented rider, having secured three top-5 finishes in the Tour de France and a victory in the Giro d’Italia to add to his two Vuelta triumphs. If he can stay with the likes of Nibali, Anton and Wiggins in the mountains, his superior time-trialling ability will stand him in good stead. At 8/1, he is an interesting prospect. Four other men make up the main favourites for the race. Carlos Sastre is a former Tour de France winner, but his career is entering its final stretch and it would be a major achievement to win here. Similarly, Andreas Kloden has a wealth of experience, but injuries have taken their toll on his body and he is constantly riding through the pain barrier. Janez Brajkovic and Michele Scarponi are the other two to watch. Only Alberto Contador finished ahead of Scarponi in this year’s Giro and he is clearly a major threat. However, this is the first time he has raced the Vuelta since 2005 and his unfamiliarity with some of the climbs may be a hindrance. Brajkovic was another to have crashed out of the Tour de France, having been caught up in a nasty tangle leaving him with a concussion. Brajkovic has longed shown hints of his talent, having worn the red jersey way back in 2006 at the age of only 22, but has never entirely fulfilled his potential. Victory in the 2010 Dauphine Libere has been his biggest achievement to date, beating Alberto Contador in the process, but success in the Vuelta would top that. A former World U23 Time Trial champion, if he can stay with the big guns in the mountains, he may be a decent outside shot. Outside of them, it is difficult to see anyone seriously challenging, although the trio of Dan Martin, Steven Kruijswijk and Juan Jose Cobo will all be interesting to watch as to whether they can make the step up and put themselves on the map as serious future GC contenders. 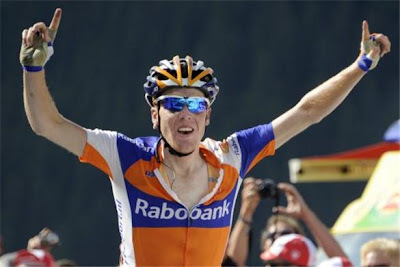 Kruijswijk in particular is one to watch, and it is clear that the bookmakers have been seeing money for him, having seen his odds fall from 150/1 to a now best-priced 100/1. Martin and Kruijswijk will be the main contenders for the young rider classification and it would be a surprise to see anyone other than these two wearing the jersey on the final podium. The only man likely to challenge them would be Rein Taaramae, but having rode a gruelling Tour de France, fatigue is likely to be an issue in the later stages. With few genuine sprint stages, there is a decent chance that the points jersey may go to a climber, rather than a sprinter. However, the standout favourite here is Peter Sagan, considered one of cycling’s biggest prospect. He has already won the points jersey in the Giro di Sardegna, the Tour of California, the Tour de Suisse and the Tour de Pologne this year, and he starts at a best-priced 13/8 to win it in Spain. However, it is his first ever Grand Tour and he has admitted that he is simply looking to ride consistently and maybe grab a stage win. 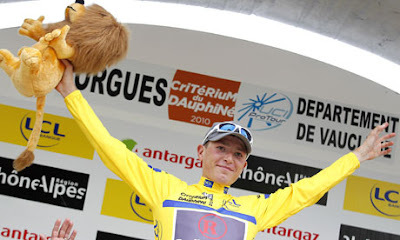 However, if he lives up to his billing, he may find himself coming away with a jersey in his first Grand Tour. Looking at the top 10 finish market, naturally all the major contenders are in at short prices. However, if we are looking for an outsider, the likes of Johann Tschopp, Jan Bakelants and Benat Intxausti are worth a look. Tschopp and Bakelants both showed decent form in the mountains in the Giro, and Bakelants in particular could benefit if van den Broeck is not back to fitness. Intxausti has been in decent form this year with top-5 finishes in the Tour of the Basque Country and the Tour de Romandie, both known as particularly suited to climbers, but was diagnosed with a broken arm in the Tour de France, although he did continue riding for several days after. It promises to be an excellent Vuelta with any number of riders capable of winning the overall classification and hopefully there is some money to be made out of the race as well.